Prior to WWII, the majority of Americans did not travel past a few miles of where they were born. Then the war came, and men were sent to corners of the globe that no one had ever heard of. Newspapers featured maps on the front page, and U.S. citizens suddenly became geography experts. Located in the North Pacific Ocean, the Mariana islands comprise a crescent-shaped archipelago. Only four of the islands are inhabited-Guam, Saipan, Rota, and Tinian. Mostly dormant volcanic mountains, they were named for Queen Mariana by the Spaniards. 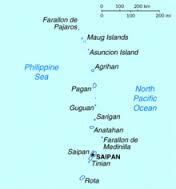 The Marianas can be found south of Japan, west of Hawaii, north of New Guinea, and east of the Philippines. The islands remained a Spanish colony under the central government of the Philippines until 1898. When Spain lost the Spanish-American war, the islands were sold to Germany. After WWI, Germany's colonies were placed in trust under the League of Nations. As a result, the Mariana Islands were assigned to Japan. Then came WWII, and these and many other Pacific islands saw heavy fighting. At the end of the war, the Mariana's were once again put into trust. However, this time they were assigned to the U.S. Several years later, they became a U.S. Territory. Guam is a separate U.S. territory from the other Mariana Islands, mostly because of the different histories experienced by the islands. 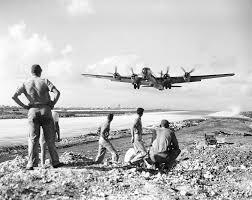 Guam was occupied by Japan during wartime for nearly three years. The northern islands were peacefully occupied by Japan for over thirty years. Today tourism is a large part of the economy for the Northern Mariana Islands with visitors primarily from China, Korea, and Russia.